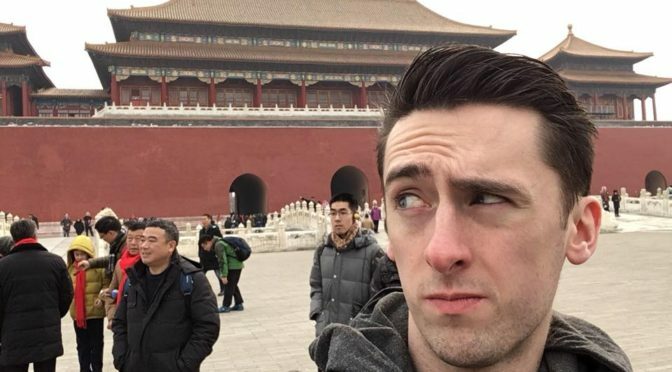 Martin moved to Nanjing to work as a TEFL teacher in the old Chinese capital. This is his experience. I worked with Giraffe English in Nanjing. When I arrived the company was just opening its fourth teaching centre in the Jiangning district of the city which was my assigned branch. Travelling from the city centre it would take forty minutes on the metro to reach the branch which was in a building overlooking the Baijiahu lake. I had a total of 36 working hours a week. Primarily evenings during the week and 9-5 shifts on the weekend with two days off. I was lucky enough to have two consecutive days off at the start of the week. Just under half of these hours were actual teaching hours spent in a classroom while the rest was admin time for lesson planning and preparing teaching props. My apartment was located only a ten minute walk from my branch so I walked to and from work every day. There were other options with a metro stop next to my apartment and work with plenty of bikes which could be hired making it a very easy commute no matter how I decided to travel. I walked as it was simplest and I also lived in a particularly scenic area for such a large city which made it more enjoyable. What were your students like? The students were an absolute pleasure to teach. As a company Giraffe mostly catered to young learners from ages 3-6 with a few classes for older students. As they were so young many of my students had little to no foundation in English prior to joining the teaching centre but they all approached learning with the same enthusiasm. While they all ended up at varying levels of proficiency they all maintained a very energetic attitude when in class. This could be very tiring at times yet ultimately as long as the students were having fun and enjoying themselves I was also having fun which made my job a lot easier. I shared classes with a Chinese Teacher and would teach each of my classes for an hour a week. At the time of writing this I have thirteen classes which gives me around 130 students in total as classes are a maximum of ten students. Having never taught before I was surprised by how enjoyable it was and this was mostly due to the children I was teaching. The students are easily one of the best things about teaching English in China, even the ones who have no interest in learning English and spend most of the class running wild. As I mentioned the branch I worked in was brand new so all the facilities were great. The classrooms were very spacious and clean with plenty of new tables and chairs and a few even had smart boards and projectors in them. The branch was also on the third floor of a tower overlooking a lake and scenic area which offered great views making it a great place to work. Nanjing is a city of eight and a half million people in the Jiangsu province on the east coast of China. About a two hour train journey from Shanghai. It’s an old capital of China so has a rich history and plenty of unique sights and experiences for any foreigner living here. It has all the amenities you would expect of such a large city with plenty of malls, cinemas, arcades, clubs, bars and restaurants of all types of cuisine. It has a very good metro system allowing you to get wherever you want to be and also a fairly large expat community. Chinese people will still stare at you but not nearly as much as in smaller cities. Coming from a city of only three hundred thousand it took a while to adjust to the sheer scale of the city. It has been thoroughly enjoyable living in Nanjing with just so much on your doorstep available to you almost every hour of the day. I was initially surprised by how normal daily life could be. Something epic and incredible doesn’t happen every day instead it’s a host of little details and experiences that continue to remind you of the different culture and lifestyle that you have in China. I loved all of these small details being a part of my regular day. 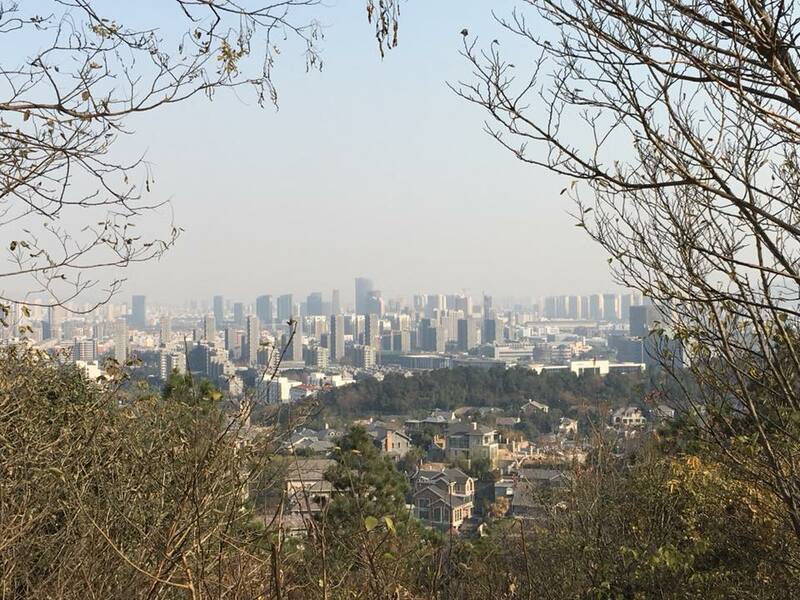 It kept the experience feeling fresh and exciting even a year into living in Nanjing. The most important thing for surviving day to day is your phone, especially if you don’t speak the language. You can pay for everything with your phone, everyone communicates through an app called Wechat, access to google translate obviously and you can order just about anything you need to your front door. This is all really convenient but you can be caught out, its not a particularly nice moment when you are waiting at the supermarket to buy your daily shop and realise you are on 2% and the person in front is taking forever to bag their items and you stopped carrying hard currency three months ago. This happened to me multiple times. It’s difficult to choose just one moment as a highlight as so much has happened in just a single year. My highlight with work is just how fun the students can be. Having never taught before I wasn’t sure what to expect but I had the idea that I wouldn’t particularly enjoy teaching younger students but I was very wrong. Having your students come in each week and be genuinely excited to see you and to want to engage with you and have fun is just a great feeling and has been a highlight for me throughout. Outside of work I managed to do a small amount of travelling. Suzhou is a beautiful city with canals and gardens literally everywhere which offers great scenery. Beijing is just overflowing with tourist attractions, the Forbidden City and Great Wall live up to the hype. The highlight however would have to be my visit to Harbin, a city in the north east of China, close to the Russian border. 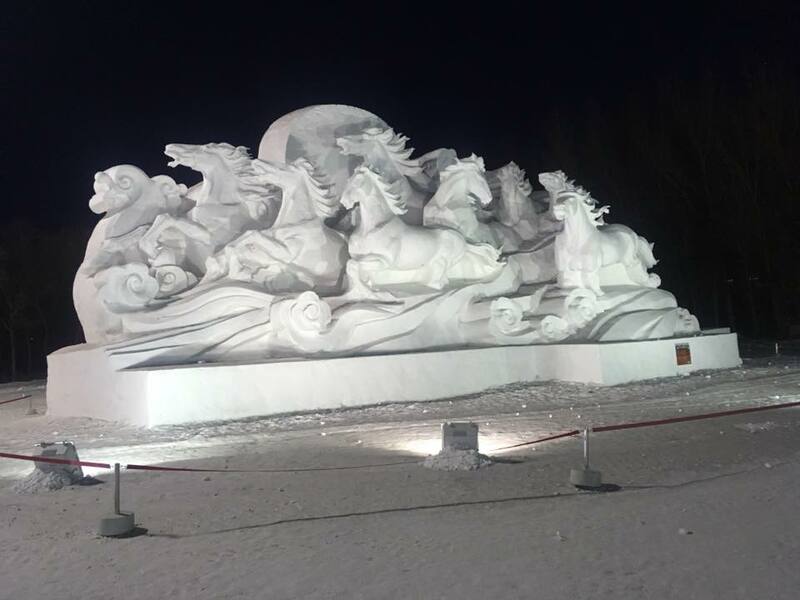 I went during the International Ice and Snow festival and it was a truly excellent experience. I had never heard of Harbin or the Festival before arriving in China yet I am so glad I found out and made the effort to go. The city is beautiful, the displays are amazing and there are still plenty of other attractions once you have finished staring at gigantic snow horses. What was your apartment like? My apartment was made up of three rooms. A large bedroom and a fair sized kitchen and bathroom. The decor was ridiculed by literally everyone who saw it in person or via video chat. Apart from that it was actually a really great place to live. It was spacious enough for me living on my own and was relatively cheap as it was outside the city centre, 2400 rmb a month. The best part was the location, it was close to my work, a lake, next door to a mall and had a metro stop less than five minutes from my front door. The proximity of public transport meant that I never felt too isolated from the rest of the city as I could go meet with friends easily enough. Once the branch of the school was up and running properly more of the foreign teachers also moved in and around the same area as I lived so it was easy to keep up a social life. Overall my year in Nanjing has been exciting, fulfilling and most importantly surprising. I fully intend to continue teaching in China after the great introduction I have had to the country in Nanjing this past year.